I picked up 2 oz bulk of C&D Haunted Bookshop at a cigar shop in Oceanside, CA, while visiting the in laws. I smoked a sample of this blend that was gifted to me when I first started pipe smoking last April, and didn't care much for it at the time. 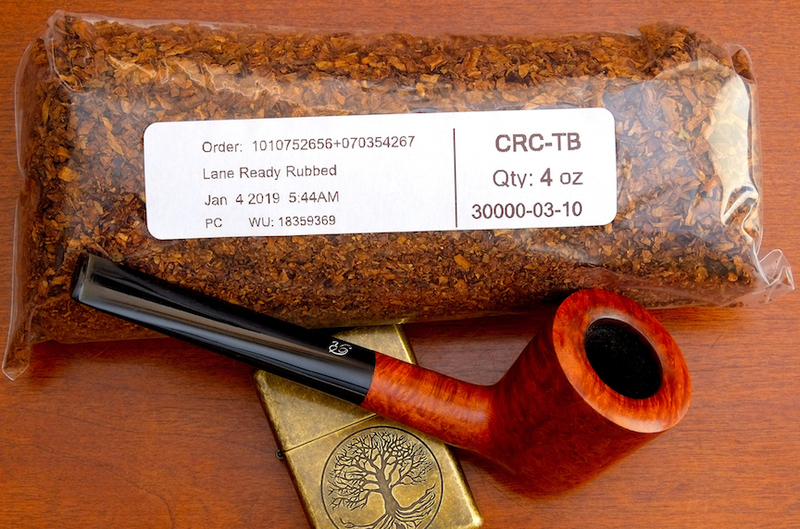 I figured I'd give it another chance, as I've really been enjoying some burley blends lately. I'm wondering if maybe my lack of enthusiasm for it last spring could be attributed to an underdeveloped palate. The last ounce and one half of Bob’s Chocolate in my local. I r sad. My local is getting a tub in for me. Friggin love the stuff, but want to buy through him. I bought a tin of Honeydew from McConnel. Tasty, but nicotine free. Just picked up 5 tins of 3P's, 4 tins of Scottish Autumn Flake, and two tins of Bothy Flake. Smoke the SG's Mayor's Chocolate Flake. It'll grow on you. 100 gr tin of C&D Epiphany. Wish I'd had it available last Sunday. Hurrah! Gawith Hoggarth & Co blends are back in stock in the USA! My favorite morning smoke with coffee has returned. Its been so long I kind of forget how good it is. 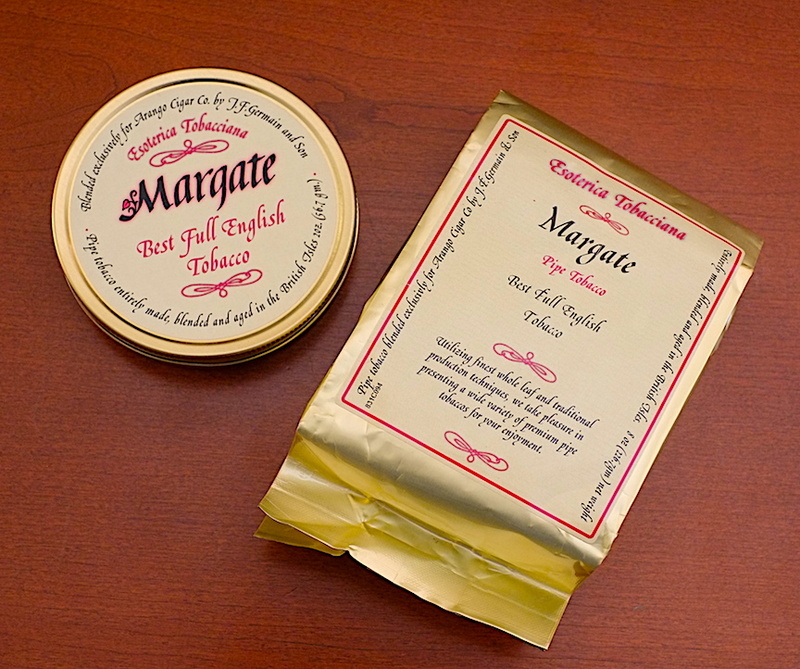 I ordered five 500 g boxes (5- 1/2 pounds) of Gawith Hoggarth & Co. Brown Flake Unscented, from 4Noggins. They just got a shipment from their supplier. Maybe other GH & SG blends as well. Price has gone up 11%. $312.00. Oh, well. My first time trying Velvet. The Gawith Hoggarth shipment to the Colonies has finally happened! I just ordered a 500g box of Brown Flake unscented, along with a 500g box of Dark Plug. A couple friends and I have Pipe Club first Thursday of every month and I always purchase something new for us to try. Just got 5oz. of Sutliff Apple and 5oz. of Sutliff Maple Walnut. THey indeed do still view us as colonies. GH had, all this time, remained fully stocked in all the UK shops I looked at. But you can't blame them for looking after their own. ryland wrote: 8 oz of Carolina Home from B&B in Asheville. Been smoking it for 19 years. 1 oz Lane Dark red and 1 pouch of Supervalue Cherry Cavendish. bought a box of these since the newest grand was born the other day. stopped by the country squire during a trip to see said grand at the hospital and bought 4 oz of Choctaw. 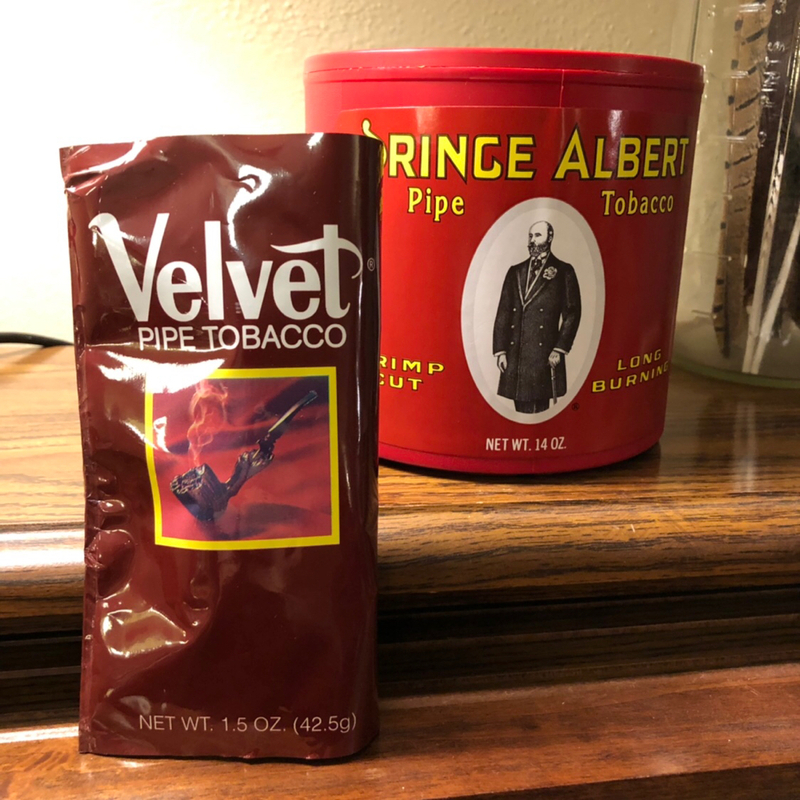 The last 5 tins of Peterson Hyde Park from Eddie Gray at the Pipe Nook. He's selling off what's left of his Peterson tins for $8 each. It is said that STG will begin shipping Peterson blends in late 2019 - as this blend was made by Gawith Hoggarth, and it isn't exactly one of the more highly-sought blends under the Peterson brand, in my mind there's no guarantee that Hyde Park isn't very stealthily going away. Someone is sending me a pouch of CB Dark that I wanted to try for a while. 10% off IPSD sale + free shipping at Smokingpipes has resulted in my ordering of a 1lb box of Old Dark Fired. I threw in an 8oz can of C&D Opening Night on the testimony of JMG. Last edited by Adam Z on Tue Feb 19, 2019 2:21 pm, edited 1 time in total.